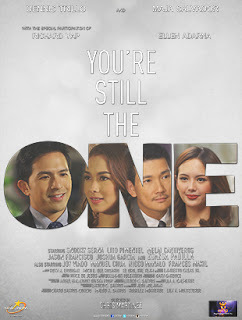 “You’re Still the One” is directed by Chris Martinez who directed several comedy films. Separating the film from all other Chris Martinez’s directorial movies, he goes out from his comfort zone as he shows a more mature scenes with less comedy and more drama. The movie is set to show this May 2015. It will be produced by Star Cinema and Regal films. The movie tells the story of how two college schoolmates fall in love in 15 years’ time. The movie tells the love story of two former college schoolmates, Elise (Maja Salvador) and Jojo (Denis Trillo). Elise is a modern day woman who prioritize ambition more than love. She works as a defense lawyer. Jojo is a businessman he is a salesman actually, he worked to sell cars. Jojo and Elise met when they’re still both in college. Jojo likes Elise and vice versa but Elise is a goal driven woman she does not rule love over her ambition so she prioritized her goals. After a one night stand the two didn’t saw each other for a long time but when their fate crossed again Jojo is engaged to Raquel (Elen Adarna), the caregiver of his mother (Zsa zsa Padilla) and their story extends for 15 years. 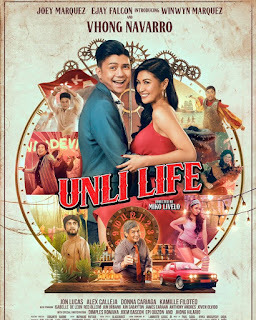 The movie has that unique story it separates from a typical cheesy Filipino movies. One point is that the scenes are realistic it is more likely to happen in real life. Second, is that the love story spans for a decade and a half, It started from 1999 up to 2014. A very long story right? Kudos to the movie because they put details into every timeline that make it more realistic. The movie has mature scenes so I recommend it for the adults the teenagers could watch but only with the guidance of an adult. The movie will be shown nationwide on May 27 ,2015.